The entire school shows up at this teacher’s funeral. But when they do THIS I got goosebumps. 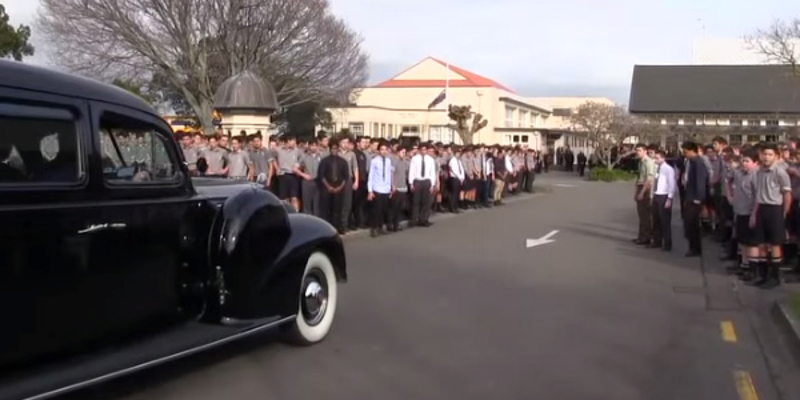 The school wrote: “The entire school performing the Haka during the arrival of Mr. Tamatea in the hearse. This was a very emotional and powerful performance. We are extremely proud of our boys' performance and we know that Mr Tamatea would be too.” This performance shows how much these students admired their teacher. It also shows how much influence even one person can have on their community and others around them without being rich or famous. His name will echo forever in the halls of his school. Add your voice to that echo and give your own Haka salute by sharing this story.